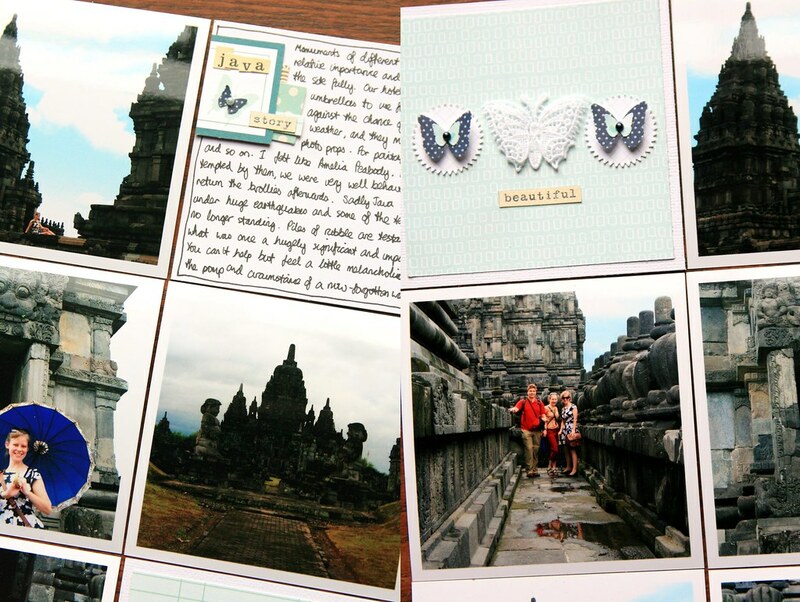 Happy International Scrapbooking Day everyone! I hope you've managed to find a bit of time to cut out some pretty things and stick them to other pretty things (assuming you're into that sort of thing). 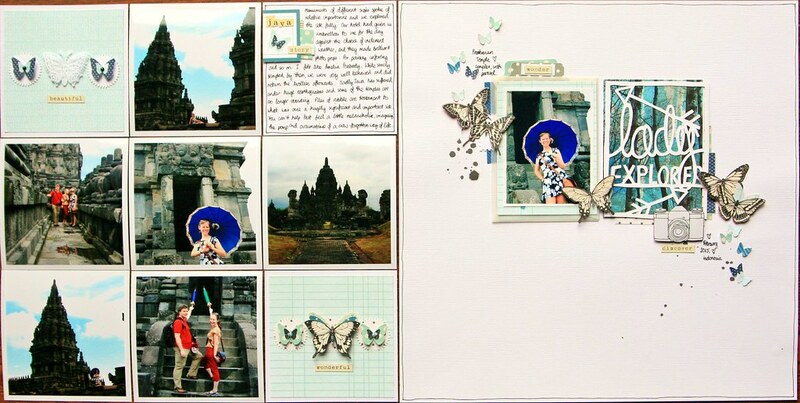 Recently I shared a scrapbook page I made about trip to Indonesia a couple of years ago (you can find it here). 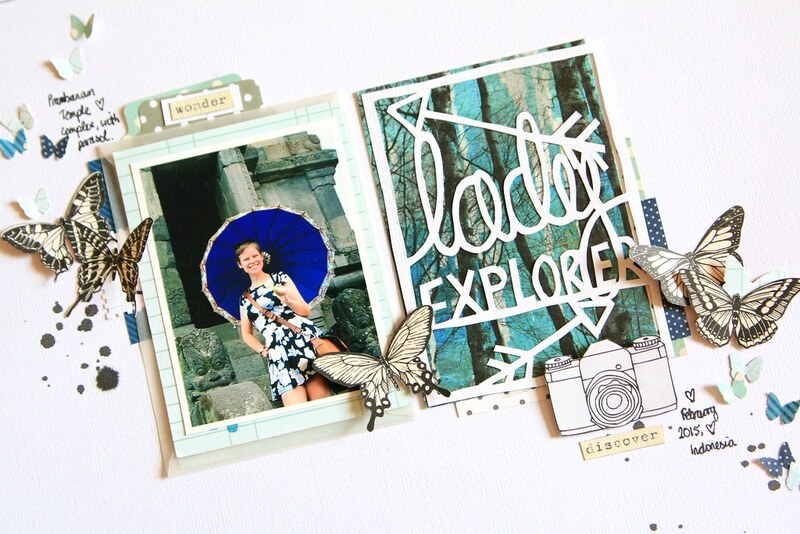 I usually like to make layouts with a single photo and this was no exception, but over the last few months, I have really been enjoying making accompanying pocket pages to include extra photos and journaling. For me it's the best of both worlds: I can make the design I want and still include excessively long journaling and a whole collection of my favourite pictures. So today, I bring you the matching pocket page. It came together pretty quickly as I left much of it without embellishment. 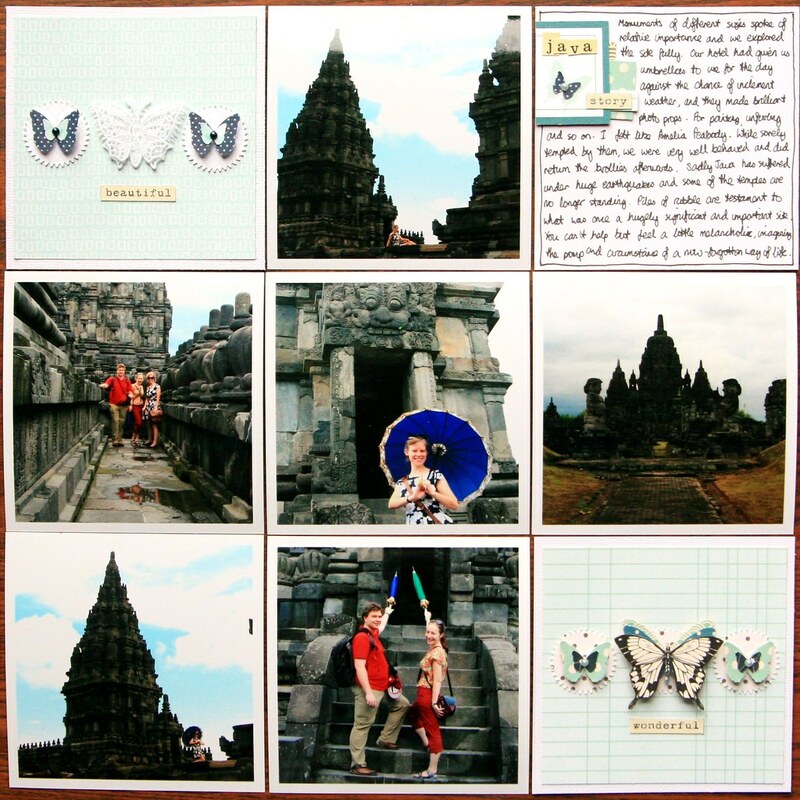 I simply wanted to have the opportunity to include all the photos I wanted to, instead of restricting myself to the one or two which might fit on a 12x12 layout. It was reasonably straightforward to put together the other pockets. 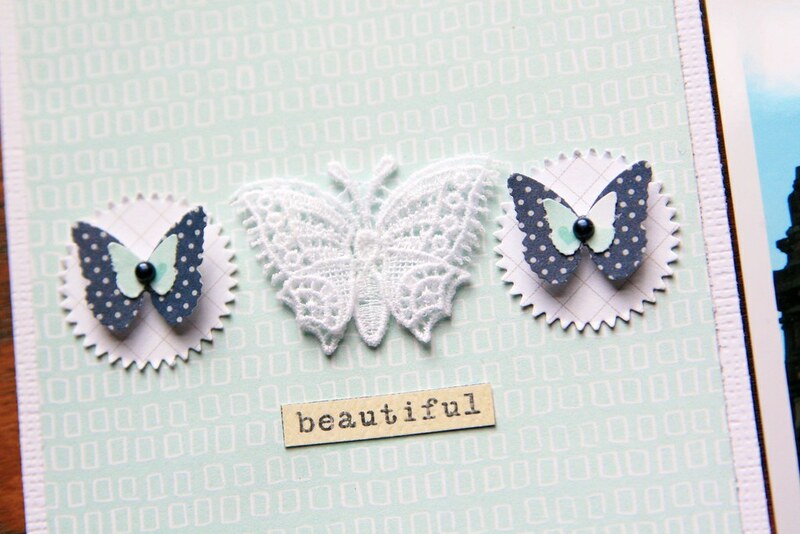 I had used a trail of little butterfly embellishments on the 12x12 layout, and still had abandoned scraps and butterflies strewn over my coffee table. 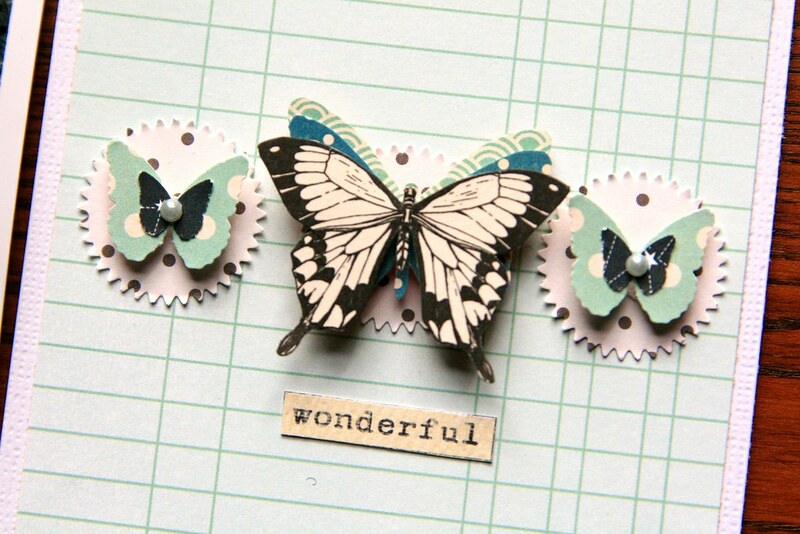 So I gathered them up, match them up, punched a couple of extra butterflies where needed, and quickly layered up a few butterfly embellishments. I used little foam squares to add dimension to the wings and tiny pearl stickers to accent them. 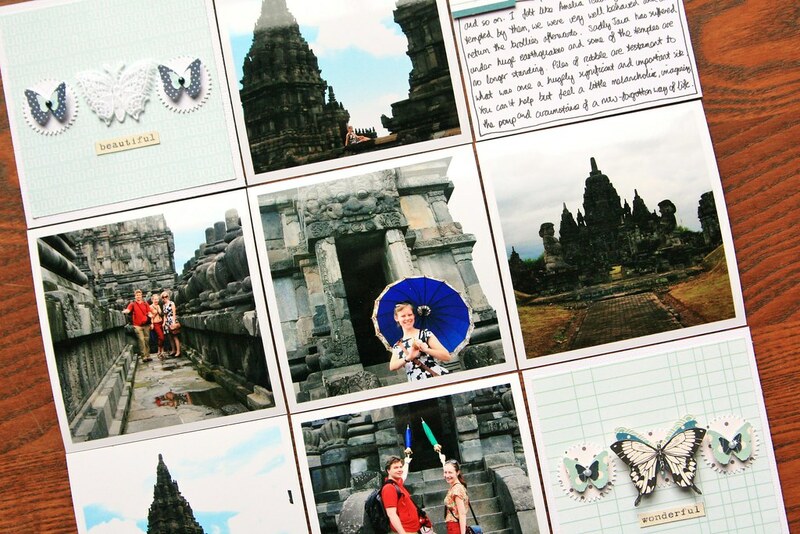 I filled two of the pockets with the butterflies, adhering them to patterned paper to tie in with the main page, and then framing each one with white cardstock so that they had a white border like the photos. And there we have it! Pocket page complete, and a very satisfying feeling of an adventure fully documented without having to compromise on pictures, design or journaling. Good guide about travelling, Thanks for sharing this information with us, if you want to visit agra historical monument then you can book same day taj mahal tour by car tour package. and you'll have to exchange on to the fundamental London-bound administration at terminals 1, 2 and 3. Thanks for sharing this wonderful travel guide with us, if you want to visit Taj mahal in night and also want to explore Beautiful history of Taj mahal then Agra Overnight Tour is best tour package for you. I've been looking for some not too bad stuff regarding the matter and haven't had any fortunes up until this point, You just got another greatest fan!. Its is very nice post and great images include in the post thanks for Sharing it. It has turned out to be fundamental https://check-distance.com/ to perceive the requirement for more prominent adaptability recognizing that the workers who travel on corporate outings additionally think about a level of their outing to be a recreation outlet.